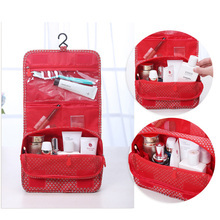 ❤ What is the box – 1 make-up storage storage package Product Size: 9.1 “x 7.1” x 3.5 “. ❤ Multi-function – multiple compartments for different storage requests, rugged zippers. faster and more convenient; fold up easy to store and travel. Everything is easy to find. 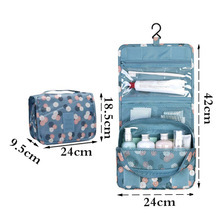 Easily suspend the cosmetic bag in a hotel or tent to save space. 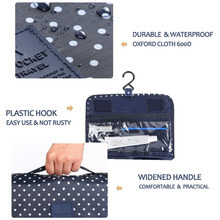 the use of portable, waterproof wear, high elasticity. 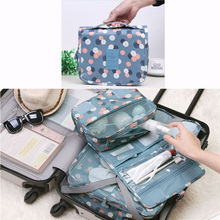 The small, compact, organized bag has six different sizes and shapes of small pockets. Pockets 1 are PVC pockets that can be packed with moisture-proof items. Such as toothpaste, toothbrush and wet towel. cotton swabs and some mini merchandise. Pockets 3 are the main pockets that can be packed with larger toiletries. For example, shampoo, conditioner, shower gel, body oil, face lotion, razor and so on. pocket there is a small zipper pocket that can be used for small items. The last pocket is located behind the bag and can be used for masks or items that are often used. for in just a few seconds. Get a neat and comfortable trip!